Phlox paniculata 'Bosvigo Pink' is another of the plants suggested for the Conservation Scheme in 2018. HPS member Sue Ward spotted it growing in the garden of Bosvigo House near Truro, Cornwall in the early 1990s. Wendy Perry, the garden owner, who has lived at Bosvigo since 1969 and developed the garden said that the phlox had been growing there when she first arrived. Having obtained a plant, Sue Ward continued to grow it for several years, sharing it with other Hampshire Group members including Jennifer Harmer who suggested naming it 'Bosvigo Pink' after the garden and the name was registered in 1996. Border phloxes typically grow to approx 100cm tall and are clump-forming herbaceous perennials. This is a sturdy plant that doesn't need support unless grown on an exposed site. It prefers a moisture retentive soil and grows in sun or part shade. Pale pink fragrant flowers with a white eye are borne in large panicles in July and August. Deadheading will prolong flowering after which plants should be cut back to the base in late autumn. 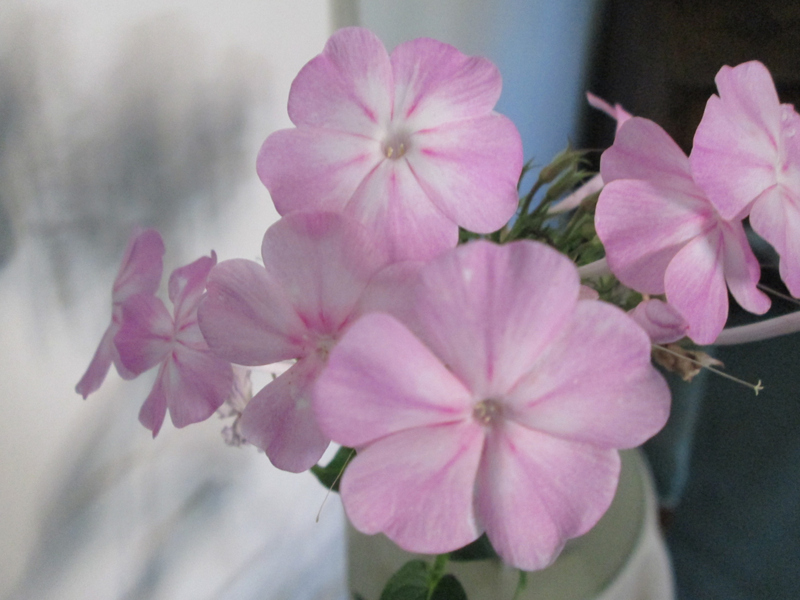 Phlox may be affected by downy mildew. Propagation is by division in autumn or spring, and soft cuttings will root easily. However, phlox may be disfigured by eelworm infection; a threadlike organism which can invade a plant and disrupt the movement of food and water in stems and leaves causing stunted growth and die back. The roots remain unaffected and if this is a problem then propagation should be by root cuttings taken in autumn. 0 Comments To "February's Conservation Feature"